Spotify announced its new standalone app for Apple Watch is now being rolled out to owners of the wearable device over the coming weeks. After a short testing period, Spotify's new app for Apple Watch should offer users the ability to seamlessly access and control music and podcasts on the go. The app includes the option to connect to speakers and devices, but not the ability to listen to music and podcasts offline, a feature that will come later on, Spotify says. Initially, Spotify for Apple Watch will allow users to play and stop the music, as well as skip to the next track or rewind 15 seconds. 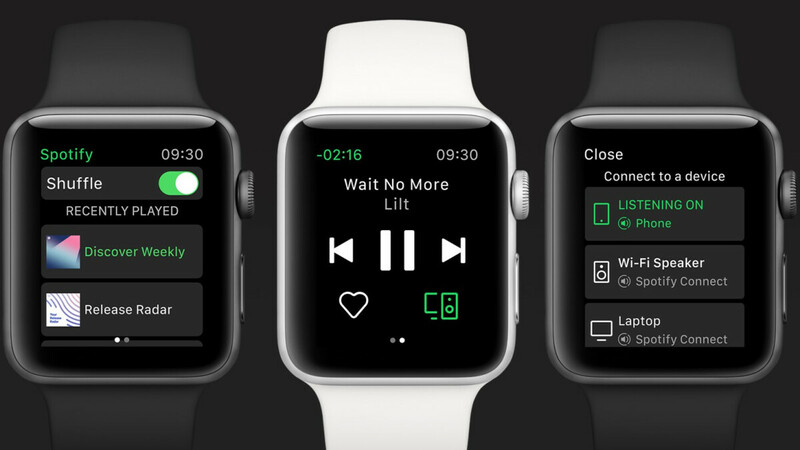 Thanks to the new integration with Apple Watch, Spotify users will be able to access their recently played songs even with their phones in their pockets. The app also features the option to add a favorite song to your collection by simply tapping the heart icon on the watch screen. Keep in mind that in order to take advantage of the new app, you'll have to install the latest version of Spotify (v.8.4.79) via App Store, and look out for more updates coming soon. On the other hand, most people who bought apple watches subscribe to apple music. Too late in the game. Apple music has more music catalog than this.